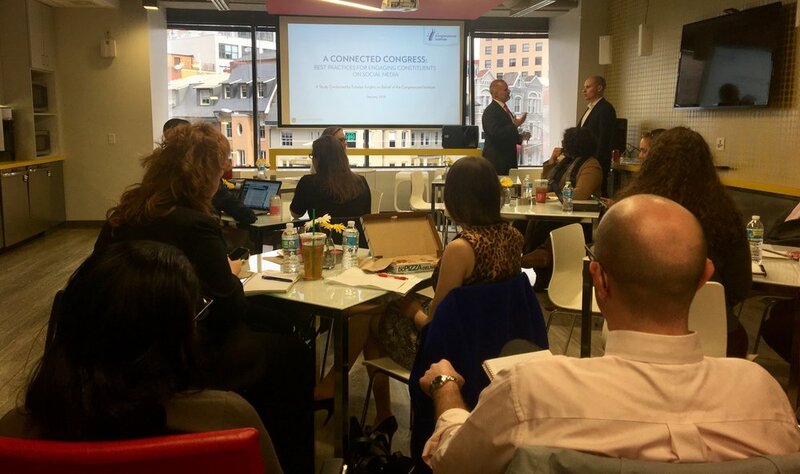 Government Affairs Industry Network (GAIN) was proud to host “How Congress Communicates” an insightful workshop presented by Echelon Insights Co-Founder, Patrick Ruffini. Mr. Ruffini gave an overview of Echelon’s research about how to effectively engage elected officials on social media. With the increased adoption of social networks and media platforms, members of Congress have likewise increased their social media presence in recent years. The study found a 99 percent social media adoption rate from House Republican offices, with Facebook, Twitter, and Instagram being the most commonly used platforms. GAIN would like to thank LEVICK for providing the venue and the lunch!